Being caught with drugs in the wrong neighborhood at the wrong time could mean that you are facing a potentially lengthy prison sentence. Many people who are arrested for these crimes fail to understand that they have rights, and make major mistakes that leave them in a very difficult position once their cases move forward. 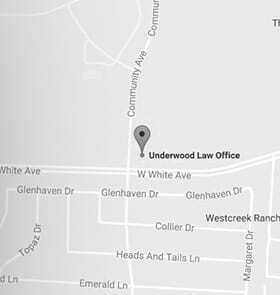 At the Underwood Law Offices, with locations in McKinney, Texas, and Huntington, West Virginia, our lawyers are ready to help you get justice in your case. We have more than six decades of combined legal experience fighting for our clients. We stand up to police and prosecutors, and we are committed to offering you a strategic defense. Drug possession — Whether you have a small or large amount of drugs involved in your case, we are ready to protect your rights. Drug manufacturing — We can help you determine the options available if you are facing these charges. Drug trafficking or distribution — Our attorneys have extensive experience fighting trafficking charges. Any and all other drug charges that you may be facing. Our experienced lawyers will review the specifics of your case to determine the best approach to take to help you get results. We work with you to find out what is most important, and then strategically plan a defense that protects you and your future. As skilled trial attorneys, we are not afraid to go to court if it is what is best for you. Do not lose hope. We can help you prepare a strong defense to potentially defeat these allegations, or reduce the charges you may be facing. If you want to learn more about how we can help with your drug crime case, please call our toll-free number 844.UNDERWOOD (844.863.3796) or send us an email for a free consultation. Se habla español.